Guess I’ll have to be 3-4 of these to get a full team? Don’t see a cap head in there! Hello All! I’d like to do a quick showcase of one of my absolute favorite graphic novel series. Growing up The Adventures of Tintin was one of my favorite reads and as I’ve been re-reading them again recently, I’d like to do a showcase so you to can enjoy them as well. 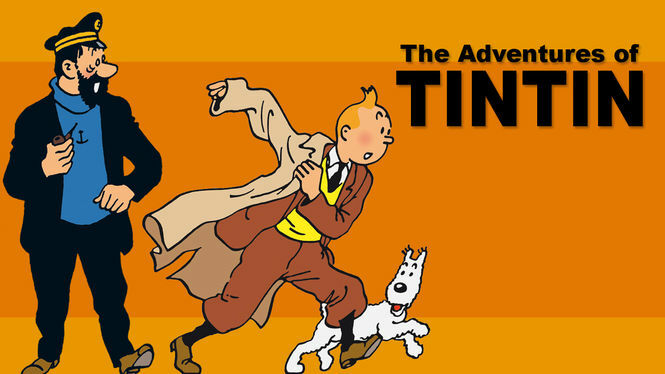 In the series, Tintin a French reporter along with his dog snowy travel the world to various places solving crime cases and unraveling political intrigue along the way. The books are somewhat comical, but also give a fantastic snapshot of the period of history during which they were written. (1930s – 1960s). Each book is its own adventure however some of them do interconnect (almost like a TV series). Some of them are self contained fictional stories, while others he becomes deeply entangled in actual historical events. They are light hearted, action packed and a great read for anyone looking for a good adventure graphic novel. I hope you guys enjoy these books as much as I have! New T-Shirt Rabbit themed gas station? This is a recent one, and is the last game I got that I consider I’ve played enough of to be worthy of a place in this years list (that’s why you won’t find Final Fantasy 15 or the last guardian on the list). These games shook up the formula for Pokemon by revamping the challenges your trainer faces, replacing the series staple gyms with the island challenges that require different actions from the players to complete than simply battling, though they do end with a battle against a totem Pokemon, a special version of a certain species that is more powerful than the other Pokemon of the same species. The feature that I find the biggest improvement is the addition of “ride Pokemon”. These Pokemon do the jobs of HM moves on the other titles, allowing you to fly, break rocks, swim, and all other things. This is a major benefit as you would end up with a Pokemon in your team who was useless for combat, but had all the moves required for you to get around the world. Now these jobs are all allocated to these ride Pokemon, leaving your entire team open for exactly your team of choice. Another interesting feature is that, as well as the usual addition of new Pokemon, there are also new forms of classic Pokemon by the way of “Alolan form” Pokemon. These are special versions of said Pokemon who are unique to this region and have different typing and abilities, examples of which would be Alolan Raichu who is now an electric / psychic type, Alolan geodude and evolutions who are now dual rock and steel type, and even to both Alolan Vulpix and family and Alolan Sandshrew and family, who are now ice type. This is a great addition for old fans to be able to see old Pokemon in new ways. The storyline of this Pokemon game has been greatly improved, with more cutscenes, more actual in depth characters, and a little Easter egg that makes the whole story very tragic. Finally, while this may sound small, I find it massive. There is the Poke Pellago feature which allows all of your Pokemon that you’re currently not using be put to work on a set of islands that allow them to grow pokebeans, grow berries, hunt for stones and shards, and train up in specific stats or levels. This is great, and it means that all the Pokemon you have in the boxes are actually put to use, and you don’t feel so bad about not using them much. This is the biggest shakeup that’s been given to the Pokemon franchise in a long time, and in my opinion it is very well done and makes the best Pokemon release in the series. There are rumours of an enhanced third game coming out to the Nintendo switch, hopefully adding the following Pokemon feature found in the game files as well as more things to do and maybe even more Pokemon, as well as the whole thing being in full HD. We can only hope the rumours turn out as good as they sound. Ladies and Gentlemen, Boys and Girls, I welcome you to the 2016 completely arbitrary and overall pointless event that is Dave’s Top Ten Games of the Year!!!!!! This is an oddity and the only mobile game on this list. Released to promote Dark Souls 3, this game is everything that the dark souls series isn’t. While it is definitely too much to expect the atmosphere and storytelling, the timing and dexterity required in the main series games are completely gone, replacing them with an endless runner where you mindlessly tap to destroy anything in your path. Mobile games have shown they can be very competent, with games like Infinity Blade being a perfect example of how to translate the Souls series combat style to a touch screen. Slashy souls stands out as a very quickly made cash in to a series that is otherwise a set of masterpieces. A genre that is growing in popularity is the so called “walking simulator”, a game that doesn’t go out to offer a lot of action or high octane gameplay, but rather to tell a story as the player explores the environment. Certain titles in the genre do have puzzles, or at least have the player need to discover the storyline by looking at everything around them. Everybody’s gone to the rapture has none of this. You wander through a beautifully rendered version of a British village that is strangely abandoned, viewing visions of certain events that led to everybody disappearing. The problem is that the pacing is dreadful, your character walks so slowly, even when using the very well hidden run button. Add to this that the village is very empty and contains a lot of places where nothing happens, you spend a lot of time double backing on yourself because you’ve walked into a dead end where nothing important to the story had happened yet. This title could have had so much potential, but it was let down horrendously. Sean Murray is a liar. Let’s just start off with this. He stated in no uncertain words that the game would feature multiplayer. That you could meet other players. That you could effect galactic relations between species. That the animals would react to each other and to the player just as real animals do. That the planets would orbit their star realistically. That the distance from their star would effect the ecosystem of the planets. None of these things are true. The game that was released was a glorified cut down minecraft clone that stops being enjoyable very soon after starting when you realise the gameplay cycle consists of mining ores and fuels until your oxygen and atmosphere systems need refuelling, so you go and mine the things you need for that, and then you go and fly in your ship until you run out of fuel and repeat the whole process again. Aliens are just as boring, with none of them leaving their ships, and being represented by a single image when you interact with said ship, where they only act as a glorified shop. Essentially, this game could have been great, but it was a let down that was sold as something else, with some of the boxes of the game even having a multiplayer icon that was covered by a sticker. No man’s sky was sullied by one man’s lie, and in my eyes and the eyes of a good many other people, that will forever mark it as a disaster that can never be reclaimed. This is more of a disappointment of what could have been. With a trailer released at the same time as the Call of Duty Infinite Warfare trailer, it seemed to be a huge break from the norm. In an era of modern military shooters, releasing a game set in World War One was a massive step, as no AAA games have put people into the shoes of those who took part in one of the greatest tragedies in human history. Sadly, when it was released, it turned out that a lot of this was set dressing, with the game playing like every other shooter on the market, featuring nothing mechanically that makes the game noticeably different from games set in world war 2 or in modern settings, which was missing a huge chance of making a truly unique experience. Instead, we ended up with another iterative instalment of the series. After Capcom decided that they were going to quietly kill off the mega man franchise, many fans of the blue bomber were crying out for their favourite games to come back in some form. Keiji Inafune stepped up and said that he was going to bring the fans exactly what they wanted by making a new franchise with all of the aspects from his old games that the fans craved. He took it to Kickstarter, and it was crowd funded in mere minutes, ending up making the amount he wanted many MANY times over. The problems started when it became clear the project was changing from what was originally promised to the people who backed it. Then it started getting delayed many times, and more people got worried. The final straw was when Keiji Inafune attempted to crowdfund another TWO projects, a spinoff from the still not finished Mighty No. 9 called Red Ash, that was supposed to be a return to the mega man legends style of gameplay, as mighty no. 9 was supposed to be to classic mega man. People were nervous about this one, as he was asking for more money before his first project was complete, which isn’t really the done thing. Then it was revealed that Red Ash was already funded by an outside publisher, and that the backing on Kickstarter was to unlock stretch goals, many of which were things that people felt should be in the base game anyway, and most of which weren’t even revealed, moving to a lot of people to take back their money. Then the game was released, and it was amazingly sub par. Missing the mark of the original pitch completely, backers were given a game that played almost nothing like mega man, and that clearly didn’t show any benefit from the extra time spent developing it. And these are, in my opinion, the worst or most disappointing games of this year. Join me later when I will start the top ten BEST games of the year. G-Men From Hell, the movie? Just in time for Halloween The Drawn Word has a new Mike Allred’s G-Men from Hell Retro 1960s trading cards Kickstarter project launching to produce a set of cards based on the Mike (Madman) Allredcharacters, complete with a preview card #0 for the upcoming Madman 25! commemorative card set, which will document “Madman’s 25-year career in just as many cards—but with an unrevealed spin. Be sure to hop online and check out the G-Men from Hell Kickstarter project, it runs from Halloween day until November 21st with a goal of $666. Madman 25! launches on April 1st for a May to June release.